AI: Excellent. Why did you choose the VIC-20? VW: In those days when I started the Atari 2600 game console was out and on the computer side the first thing that was viable were ZX 81 and the VIC-20 of Commodore. In reality the ZX 81 didn’t even have a real keyboard – just some kind of pressing flat area of buttons and it was black and white. The VIC-20 was colorful, it had a real keyboard, it was expandable, there was a 20-kb memory card which you could put in. That was a really easy win so I wanted to create games and black and white is not really interesting for that. AI: Before you moved on to the Amiga did you have other machines, did you always stay with Commodore or what did you have between? VW: It would have been great to stay with Commodore until today but sadly that wasn’t possible. After the VIC-20 I was coding several years on the C64 but none of these games were really released. I did many hobby projects for that and it was for me the best learning time. I was basically doing the ground work later to be able to work on the Amiga. It was very similar (C64 to VIC-20) it was basically the same CPU and I could immediately start coding again. When the Amiga came out that was a totally different thing. It was a big challenge since everything was different. I had to get used that memory is not just a fixed location but instead your program can run anywhere in the machine which was totally unusual so I was very clueless. All the co-processors were much more advanced than the C64 and I had no idea how to use them. One day I found a book called Hardware Reference Manual and this was kind of my new bible. There were certain possibilities and from that point on I finally broke into (it) so when I bought the Amiga I had three or four months where I felt I really know nothing yet. AI: It took some time to get used to the Amiga and we all know obviously you’ve developed some really interesting games since then. Where do you get your game ideas from? VW: Yeah. It is for me definitely that I’m inspired by other games. So especially when I was young I was looking into everything that was released. Now, in the mean-time I’m a bit more selective. For example, thinking about Settlers definitely Populous, Sim City also the game Little Computer People inspired me. What I’m doing usually is I play other games and it’s (me thinking) “definitely not bad, but we could do this or that and it would be much more exciting”. When I saw the first screenshots of Populous I had an imagination what would happen in the game and then I played it. It was a nice game but I was somewhat disappointed by the limited possibilities. That was also where the basic idea for The Settlers was born. AI: The graphics are very memorable in the original Settlers game and very iconic. Christopher Werner was responsible for those. Did the graphics always look like that during development or were there periods of development where the look of the game changed. VW: There were basically almost no changes. Christoph did the perfect look and right from the start. You had to imagine there was no real workflows (in) those days. He painted all the graphics and a few fullscreen shots and we used some kind of color coding with several pixels to make sure that we had an idea how pixel graphics are at a central point for the graphics so that animations can be fluid. And I wrote import code to make sure. Settlers 1 as mentioned was coded only in assembler so there was no C code at all. For example for saving and loading I used operating system code which I called but everything else was coded in assembler. In the end it was seventy thousand lines of code. It was an extreme way to write code because there were almost no comments, almost no debugging – when I wanted to find bugs I had to print out values on the screen to reverse engineer what is going on because such technology didn’t really exist or I didn’t know or wasn’t aware of it yet. AI: What kind of limitations did you come up against in the Amiga? You had a vision, technical ability and creativity so at some point there is a limitation you come up against in the technology maybe? VW:In reality the Amiga was so much faster and more powerful compared to what has been there before that I really didn’t really feel limited. As I said, the code was processor efficient so when I was on the Amiga 500 I think without framerate drops I had up to eight thousand settlers and the game worked so this was not really feeling limited at all. It was incredibly powerful in those days and as for comparison I think there was no other game out there in this decade which did something similar. Also very large map sizes were possible. What was limited maybe was there was no easy way to do multiplayer. The only way I saw was (to do) split screen which of course has some downsides but at least it had multiplayer mode already those days. AI: That’s right and there are still some people with us that use multiplayer. VW: Yes, that’s really nice to see. And as you know the History Edition of those old games have just been released so it’s still possible to play those even if it’s a very old game now. Some people still like it and enjoy it and I see several thousand people, for example, play Settlers 3. AI: You sold millions of copies. What were the celebrations like for you and your team? VW: That story, you know, celebration parties. You have to imagine those people are basically two people living in different locations and some additional people taking care of distribution so we were a really small team. So no parties in those days. AI: If there were two developers in different locations did you post each other disks or how did you collaborate? VW: Oh, that’s a good question. I think we sent data by mail in those days, or “snail mail” as we would say nowadays. And of course sometimes we met also at the Blubyte headquarter in Mülheim. So I had a two or three hour trip to there. Christoph Werner was working on the graphics and lived more in the vicinity. AI: At the time when the game was released the Amiga magazines were very excited about the game, even more so than the DOS (magazines). 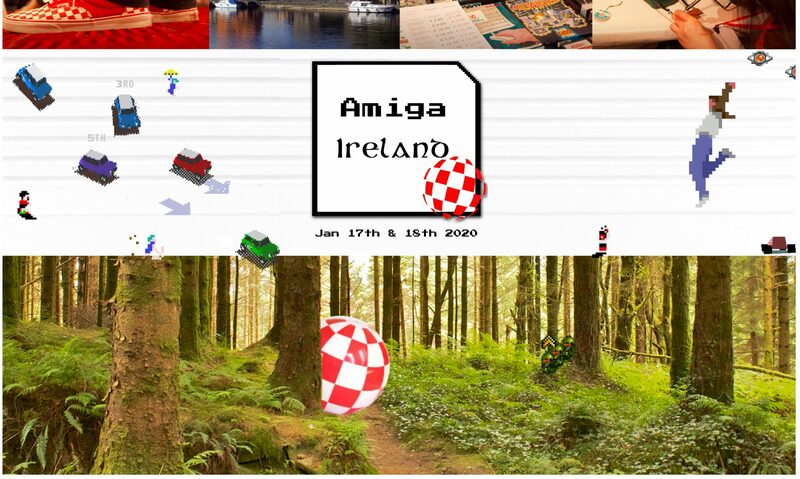 What did the future of the Amiga look like to you at that time? VW: I think at that time I was of course also looking into the PC and what it could do. For example there was of course a PC version of The Settlers but there was no cross compiler so basically the Amiga code was transferred (by a cross-compiler two friends created) into PC code and the PC those days did not have 7Mhz but usually like 20 to 30Mhz so it was not really a performance issue to achieve the same performance. But of the system I can just say that those days, PC systems, I didn’t like that at all. The CPU was much less powerful than the 68000 series was. Instead of 16 registers, just very few ones. You were very limited in the commands you could do with them so coding in assembler on PC was, in comparison, a nightmare. Also no co-processors, very strange graphic colors and systems, a quite poor hardware architecture so I think we (Commodore and the Amiga) had a great opportunity those days to be more powerful and offer a great future. But I think the big downside was, which was a major flaw by Commodore, was that Amiga was not modular or extendible. So it was very difficult to go step-by-step to a better system. You could not add a new graphics card or memory as easily so – of course memory was possible – but also CPU upgrades and graphic cards which would have been necessary. It would have been necessary to upgrade step-by-step and I think this opportunity was missed those days. AI:I The Settlers came as a demo with at magazine on a disk. The demo was actually quite generous; it took time to find any limitation to the demo because so much exploration and experimentation was possible. How did you decided how many features to make available in a demo for the magazines and where to limit it and why to make it so generous? VW: That’s a good question. Honestly, I can hardly remember. I guess a game offers many hours of gameplay so on a single map you can play for five or ten hours. So to really experience The Settlers and get an idea of what is behind the system, why it could be fascinating, I think we needed to have a generous demo so people really get the idea. I think it didn’t hurt the sales. So I think that if a demo is very limited maybe even it shows a bit more that the game has not that much more to offer maybe. AI: Does any of the original code or algorithms from the Amiga version exist in subsequent versions of Settlers? VW: I think everything in the other games has been rewritten of course so there will be no original code exactly like that. I assume that sometimes the old code was looked at but as mentioned it was uncommented and pure assembler code so I guess it was not really a good baseline to create a new project. But for the algorithms of course, even now twenty-five-years later when we are working on the new Settlers game, these algorithms still matter. For example what is still valid is distribution of goods in the game. So as goods are going from one location to another location they have priorities and there is an automated system that decides which carrier should take what and why first (and) to which location. These systems and algorithms behind this are still valid and improved and modernized for the new version but the baseline is still the same. AI: All of these features need to be tested. We have great tools now for unit testing and automated testing. The Settlers is incredibly complex. How did you test it and get it to the high standard? I’ve certainly never noticed any issues or bugs. VW: Luckily I had a lot of good and reliable friends those days, so I was changing my living room into a test center. We had maybe ten, I’m not sure, Amigas put up there in my living room on a central table which was extended then and many of my friends were coming every day or whenever they found time in the evening after their work and came and tested and played the game and reported bugs to me. So I was sitting in a separate room since I needed a more quiet environment for coding. But we were together often and this was really great support since the real QA department that test games for a long time and have bug tracking and bug control over what is fixed and what is not did not exist in those days either. AI: So you relied purely on your friends playing the game telling you what wasn’t working. VW: Basically it was friends mostly who liked to play the game and helped me for several months. But of course after this game has been released there was also some feedback and (we) found a few issues here and there which were fixed afterwards, but luckily most of that had been found already on initial release. AI: You worked on a project that involved sending images through sound. It’s unrelated to The Settlers but it I’ve never heard anything like it. Can you tell us briefly what that project was? VW: Yes, that was even before The Settlers when I was in the age of sixteen to eighteen. While I’m in computers my brother is six years older and more into electronics. So we teamed up. We made a small company and we created hardware and software. So he created the hardware and I created the software to transmit pictures. It was a technology which was quite young those days. It was needed for example ships used it to receive weather maps to ensure they are going the right route or say “I’m coming into a struggle” somewhere. It was also called “fax”, which is different from the fax systems we know later. But it was somewhat similar – much slower of course because it was all send by air only over thousands of kilometers. A second system we had that was also quite slow, (Slow) Scan TV / SSTV, which was also made to transmit pictures by air and Slow Scan TV means you have a picture every two minutes (or) something like this, but it was in color. And in these years I learned a bit how to run a business, how to do all the paperwork besides working with the project so it was also interesting for me and a steep learning curve. AI: That’s incredibly interesting. The Settlers 1 History Edition/Collection has been released and there is a bundle available now. Can you tell us about this bundle? VW: Yeah, The Settlers 1 History Edition was released in August and Settlers 2 to 7 was released in November now so it’s out since two months. Really it’s the traditional games, there have been no major changes to the gameplay – just adjustments mostly for Windows 10 for resolution so those games are still playable. There are some nice additions for example in Settlers 1 there is a mode to play the game faster if you want to; the gameplay nowadays is usually much faster of course than those days. But you can play it also in the original style where even options for controls to keep right mouse buttons … it’s possible now to experience it again on a modern computer if you want. VW: It’s not a secret anymore luckily. Since August we were going public with information that we are working on a new one. We are working on it now since more than two years and there’s still a good amount of work ahead of us. So we are really looking forward to a project which creates again the stunning experience which we had originally with The Settlers and we are extending this of course with new, modern game mechanics that make it a little more interesting and it gives the player even more choices. But I think if you look at the movies and what the game currently look like, you can see it’s again taking care of all these lovely details that people were always excited about who liked Settlers. The whole sense of community will be very happy that this game is released now, getting again this kind of game experience now after so many years. AI: Fantastic. A lot of us here are looking forward to this. Do you have time for some questions from the audience? VW: Yes, feel free to ask. Q1: The intro to Settlers 1 – I believe it was a truly amazing piece of art. Can you tell us more about who designed it and the process? VW: Oh, I hope I’m really saying the right thing but if I remember right I think it was also done by Christoph Werner and I know it was of course quite slow when things were moving but for the time that it was released it was a really nice piece. Also the music was very nice. But I have to pass that I’m really not exactly sure if that was done by Christoph – the art – and I’m not sure who did the sound. I can’t remember that detail. Q2: Thank you Volker. This question is from the design perspective. The Settlers action is made to be at a relatively slow pace; you said levels can be many hours. Was that because of the influence from Little Computer People or was that for other reasons? VW: For me it was most important that you (can) take decisions in a strategic way. But it means you’re not really under time pressure in extreme ways – you can have a few hours, not like for example in Warcraft or Command and Conquer. I wanted the player to be able to take the time to watch the game with what’s happening. Because everything is visualized; what you see is what you get. So you can go with the world, take your thoughts and then decide what you want to do, what you want to change and at least that decision should be a unique one. Q2 (continued): It’s a design decision I totally agree with, thank you. VW: Yeah, people also find this in the new version, so in the new Settlers what we did is, now after twenty-five years we took a step back and went discussing about what defines now The Settlers really since we’ve had several iterations of Settlers. Some were more true to this DNA and some were not. So we define the DNA of Settlers as things like, one is a demand and request system which decides what is brought to which location. So (the) “what you see is what you get” principals is very important that every detail is visualized. The player does not command single units but instead uses overarching commands and the details are executed to order so that’s important on that. We have the sandbox which gives the player a lot of freedom so they can do a lot of different things and there are many ways to achieve the same goal ideally. So this realization is the detail and finally ‘relaxing gameplay’ is what we call it – that it’s not really putting the player just under time pressure but instead they can take their time for decisions. Q3: I wonder when you came up for the idea for the game – it’s in sort of a medieval setting – in what order did you decide on the setting or the mechanics. Did you have the idea that you wanted to have a medieval sort of game or was it that you had this mechanic and it became medieval afterwards? VW: Yes. Production and economy are really critical. If you go back too far in history maybe there’s not enough interesting mechanics to put in the game. So it was more like that we thought “we want to have this kind of game principal. What time is suitable for that?”. So it was a decision that came from what kind of game we wanted to create. AI: Thank you so much for your time with us, it’s been a genuine pleasure. It’s very exciting that the original creator is leading this project and we look forward to the release of The Settlers once again! Amigos Retro Gaming captured this interview on their youtube channel here.